I understood the message to refer to the need of the Jewish people to affirm Hashem’s Kingship on Rosh Hashanah. As Chazal say (Rosh Hashanah 34b), we recite the pesukim of Malchiyos in Shemoneh Esrei “kedei shetamlichuni aleichem,” in order to accept Hashem’s dominion over us. On Rosh Hashanah, we blow the shofar and declare, “Hayom haras olam. Today is the birthday of the world. Today is the anniversary of Hashem’s melucha.” The avodah of Rosh Hashanah is to declare Hashem our Melech on the day His Kingship is celebrated and reaffirmed. The theme of malchus is integral to the day. Rav Chaim Volozhiner writes that his rebbi, the Vilna Gaon, would rejoice as the shofar was blown on Rosh Hashanah. He would say that just as the nations celebrate the coronation of a king, when we blow shofar on Rosh Hashanah, we, as Hashem’s people, coronate Him over all the worlds. The Alter of Kelm states (Chochmah Umussar 2:152) that the avodah of shetamlichuni aleichem necessitates that the king’s subjects be united and work together, for the king’s rule is weakened if they are divided. It is likely that this is the message that was signified by the sign that hung for the month of Elul in the pantheon of mussar and greatness known as Kelm. Soldiers focus on victory and aren’t challenged by different roles and different ranks. Everyone involved is on the same team, an agudah achas, united by the same goal. Their own personal wants are set aside for the greater good. Men of different backgrounds and social standing fight together and sacrifice for one another. They recognize that the greater cause is larger than each individual. Effective people see beyond their own personal honor and comforts. When this time of year comes around, everyone realizes that the focus is on kevod Shomayim. Personal egos and agendas are cast aside, as we all unite to allow Hashem’s glory to shine. Rav Nochum Zev of Kelm, son of the Alter of Kelm and leader of the Kelmer Yeshiva, was invited to address a large gathering. When his turn came, he ascended the podium, apologized that he was unable to speak, and returned to his seat. He later explained to his daughter that although he had prepared a drosha, he noted that the rov who addressed the gathering before him spoke poorly. The Kelmer tzaddik feared that his own speech would reflect negatively on the previous speaker. Rather than cause embarrassment to another Jew, he refrained from speaking. No doubt, the message he prepared was laden with depth and inspiration. He spent time and effort preparing it, and he clearly believed that it held important lessons for the people in the crowd or he wouldn’t have planned to deliver it. Yet, the giant of Kelmer mussar sacrificed his presentation because he was part of an agudah achas, sensitive to the feelings of another person on the team. Though he could have shone and inspired, nevertheless, since doing so would have involved causing embarrassment to a person he might not have known, the message he had traveled far to deliver lost its importance and value. His mission wasn’t about himself and self-aggrandizement. Rather, it was about Hashem and His people. Thus, if his action would hurt another member of the group, he would remain silent. When we undertake an action, we need to ascertain that it will help bring us closer to Hashem and bring honor to Him and His people. When faced by a dilemma and uncertain as to how to proceed, we need to take the path that the Torah would suggest. Should we tell a lie, a tiny lie, and make a few more dollars on a deal, or should we be honest, even though that would cause us to incur a loss? Inherently, we know the answer, but our greed sometimes gets the better of us. Should we take advantage of someone else and earn money, praise or honor for ourselves, or should we act with humility and unpretentiousness, allowing another person to shine, even at the expense of us missing out on an opportunity for advancement? If we view ourselves as part of the greater community and consider other people’s feelings, needs and desires, we create harmony among Hashem’s creations and bring honor to our Melech. 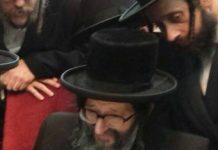 The man who was the chazzan for Mussaf in the shul in which Rav Yosef Chaim Sonnenfeld served as rov passed away two weeks before Rosh Hashanah. The shul’s members asked the rov how they should go about finding a good chazzan so close to Rosh Hashanah. He told them not to worry. “I’ll find someone,” he said. Rosh Hashanah came and there was no word about who would lead the august congregation in their Yomim Noraim prayers. Curiosity was at its apex, yet the rov would not reveal who he had found for the task. Senior members of the community approached Rav Yosef Chaim after davening. They told him that they accepted his choice but wondered why he would send an avel to lead the davening, when the Shulchan Aruch rules that a mourner should not be the chazzan on the Yomim Noraim. Rav Yosef Chaim responded, “The widow of the departed chazzan was in the ezras noshim of our shul. How do you think she felt remembering that her husband had led the davening here for so many years? Think about her pain as the fresh wound was reopened. “Now think about how much more it would have hurt had someone else taken her husband’s position, and instead of hearing him, she would have heard the voice of a stranger. “I wanted to minimize the pain of the widow as much as possible. Therefore, I decided to choose the person closest to her husband. That would be her son. The Mishnah Berurah rules that when there is no other choice, it is permissible for a mourner to be the chazzan. The Vilna Gaon writes in Even Sheleimah (1:1,3) that the root of sin is bad middos. A person’s task in this world is to break those middos and improve his character. Someone who wants to repent and do teshuvah for sins he committed should begin by rectifying his middos. The key to change involves examining middos and perfecting character traits. At the root of the teshuvah process is becoming a better person. At the root of becoming a better person is perfecting your character. Doing so will not only help you get along better with other people, but will allow you to join b’achdus and be part of something great. One of the most integral elements of teshuvah is viewing ourselves as part of the group of Am Yisroel and appreciating what that means. Teshuvah involves us not seeing ourselves as superior to others or more important or better than they but appreciating the goodness in everyone. Humility is the underlying ingredient of self-improvement, getting along with people, caring about others, influencing them, and living b’achdus. People who are consumed with themselves don’t give to others, don’t bend for others, and don’t compromise for others. It’s all about them. People driven by superficiality are selfish and consumed by self-gratification. They don’t bring Hashem into their lives. Life becomes a long expedition of pleasure-seeking and power-grabbing, without thought of communal responsibility or a serious examination of life. Achdus is imperative for malchus to happen. The cleansing process of Elul and the yemei hadin, the honesty and self-awareness brought about by the awesomeness of these days, coupled with proper reflection, brings us to a level where we can do our part in being mamlich Hashem. Rav Yisroel Salanter advised that to be granted life on Rosh Hashanah, it is vital for a person to be an active member of a community. His advice is usually understood to mean that if we wish to be granted life, health and happiness, we have to make ourselves needed. The more that people need us, and the more goodness and happiness we bring into the world, the more reason for Hashem to keep us here. The merit of performing important functions for Am Yisroel helps us when we are judged for the coming year. But there is another way to understand his admonition. In order to be a person who is involved with the klal, and in order to be able to work with others b’achdus, you have to have perfected your middos. Someone who is caught up with himself, lacking depth and humility, cannot be involved with the klal. A klal mentch, a person who assumes responsibility to help others because he is interested in helping people, is a person who has refined his middos and character. Rosh Hashanah is a time of repentance. We review our acts of the past year and seek to correct our faults. We examine where we have gone wrong and failed, and we seek to improve ourselves so that we will act correctly in the coming year. The Rambam (Hilchos Teshuvah 7:3) writes that just as we are commanded to do teshuvah for sins that are of an active sinful nature, we must rid ourselves of improper ideas. We have to do teshuvah for the times we were angry, for hatred of other people, for jealousy, for improper competition, for cynicism and mockery, for the pursuit of money and honor, and for gluttony. The Rambam adds that it is more difficult to atone for these character sins than for those that involve sinful acts, because we become accustomed to those traits and thoughts. Teshuvah is not only for what we are used to calling aveiros, but also for our latent urges for prestige and money, and for our jealousy of other people. The Rambam states in Moreh Nevuchim (3:17) that people are punished for an improper act, even if there is no specific commandment not to do it, if it is an act that human intelligence warns man to desist from. He adds that, conversely, if a person performs a positive act, then even if it is not a specific commandment, he is rewarded. The same idea is put forward by Rabbeinu Nissim Gaon, Rav Yaakov Emden and the Sefer Chassidim. In the Siddur HaGra, the Al Cheit of “Shechatanu lefonecha bevli daas” is explained in this way. We beg forgiveness for not thinking through our actions properly, for we are commanded to carefully consider our actions, and if we don’t, we have sinned. If something doesn’t make sense, we shouldn’t do it. If we don’t want to be treated a certain way, we should not treat people that way, even if it doesn’t say anywhere in the Torah that it is forbidden. When tempted to act unscrupulously, we must resist the temptation, even if we are promised that there is nothing wrong, because we are smart enough to realize that there is. If we let financial incentives override our intelligence, we have sinned. The Yomim Noraim demand that we take a serious look at ourselves. 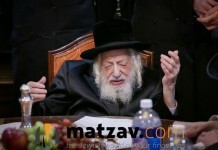 One year, on Erev Rosh Hashanah, a chossid rushed before his rebbe, Rav Yitzchok of Nadvorna, to bid him a good year. “Where are you rushing to?” the rebbe asked the man. “I am a chazzan and I have to examine the machzor and prepare the tefillos,” responded the chosid. Recognizing our place in the world leads us to care about other people and utilizing our talents to improve their lives. Introspection leads to achdus and to becoming an integral part of a klal. That is what Rav Yisroel Salanter was referring to. When we are alone, we are vulnerable and isolated. Uniting with others allows us to benefit from their support. We then have people with whom to celebrate and lighten sadness. If you live only for yourself, then your life is as small as you are. You never allow the strengths you have been blessed with to develop and flourish as they would if you’d be involved with others. You wallow and decline because Hashem endowed us with strengths in order to use them for communal benefit and for causes of Torah. Every person has an individual mission to carry out. Whatever your life task is, it involves other people. The more we affect the lives of other people, the more we become a vital part of Klal Yisroel. The more we realize that we are part of a group ruled by Hashem, the closer we will be to realizing our goal. When we remember that we are small when we stand alone, but can achieve much when we are united, we will find favor in Hashem’s eyes and in the hearts of our fellow Jews. The Maharal writes that when a person pities and contributes to the poor, he causes Hashem to shine upon him midah of rachamamim, mercy. The Chofetz Chaim takes this concept further and writes (Ahavas Chesed) that when a person acts charitably with others in this world, he arouses the midah of chesed in Shomayim. He explains that this is what is meant by the posuk (Shemos 15:13), “nochisu b’chasdecha, am zu goalta.” Because the Jews in Mitzrayim gathered together and resolved to be charitable with each other, Hashem miraculously freed them from the evil clutches of Mitzrayim. A person who seeks to improve himself and chart a better course for the new year cleanses himself of his wrongdoings. He turns to Hashem and asks to be returned to His good graces along with the rest of Klal Yisroel. He rises above selfishness and apathy. Tzedokah tatzil mimovess, for the more we give, the more we share with others, the more unselfish and humble we are, the more we live b’achdus with everyone and the greater our chances of a favorable outcome. We give tzedokah and cause Hashem to view us charitably. The sefer Ohr Hayoshar, written by a talmid of talmidei Ha’arizal, states that Hashem is merciful with anyone who is merciful with others; his tefillos are accepted and he accrues many advocates who argue for him during his judgement in the Beis Din Shel Ma’alah. 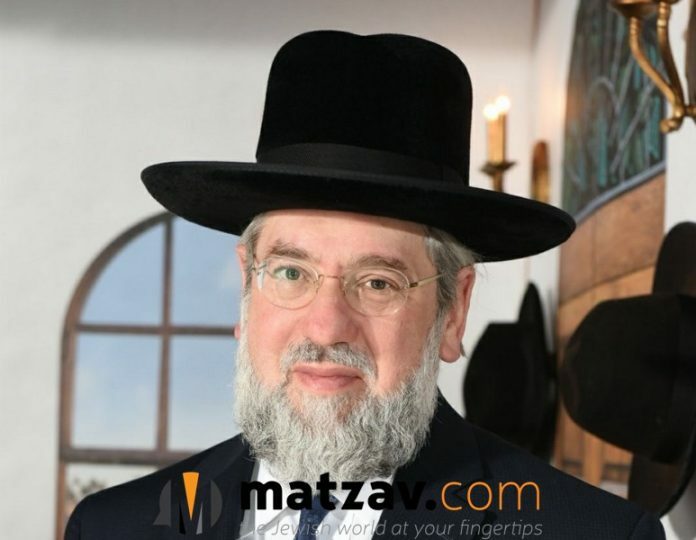 Chasidim relate that the Kamarna Rebbe said in the name of Rav Mordechai of Chernobel, who said in the name of the Baal Shem Tov, who heard from Eliyohu Hanovi that every time one Jew blesses another “Kesiva vachasimah tovah,” malachim advocate for him. On Rosh Hashanah, we seek to unite as an agudah achas, acting charitably to each other and wishing the best for all. Before Yom Kippur, we ask mechilah from each other. On Sukkos, we grasp four minim, symbolizing all sorts of Jews. Then, finally, on Simchas Torah, we dance as one, with no more barriers between us. To view ourselves as members of a larger group, caring about each other, as soldiers in a fighting army, to think about how Hashem would want us to act, that is the avodah of Malchiyos. A shenas geulah veyeshuah to all.